Everyday Carry During Wartime | Eagle Gun Range Inc.
We are at war. We ordinary citizens are at a special disadvantage, though, because the only targets are civilians; you and me. We are at a further disadvantage because only the enemy knows when he or she will attack. And when they attack it will be somewhere ordinary people gather to do ordinary things, like work or teach or shop or relax or worship, or it could even be an ambush deliberately set for specific targets. Our war is sporadic. Most days do not feel like wartime, but the war may erupt at any time and in any place, and as civilians we must confront it or escape it with only those things we have with us at the time…as we go about our normal, otherwise-mundane daily lives. The war may then be brought to us by a lone individual with a knife or by a group armed with fully-automatic rifles. With a few notable exceptions, our war is mild and fought infrequently as compared to the same war in Europe. But as recent history shows, what grows and festers in Europe will follow in the US. The rash of daily rapes, assaults, murders, and mass attacks seen in Europe will arise with similar frequency here; especially since our “leaders” are working tirelessly to ensure this eventuality (and yes, since this fact is alarming, you should look into why they’re doing this). These important facts provide context to some of our advisable daily choices and responsible people cannot rightly ignore the context or the choices. Carrying concealed every day is one of these responsible choices. It is the only remaining civilian defense against combatants in our growing, festering war. So what is advisable everyday-carry (EDC) kit in the context of wartime? 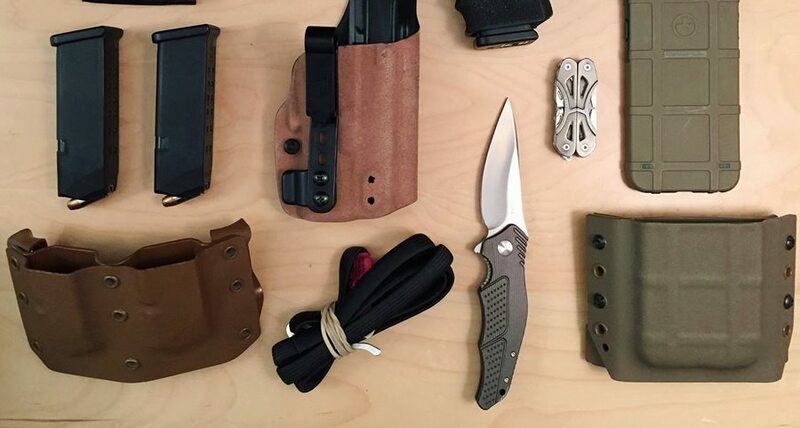 Logic suggests that your EDC should be based on a specific strategy in a specific context. If it is not, it is unlikely to be useful in a situation where usefulness is needed most. Today’s EDC choices should therefore differ in important and significant ways from similar choices a decade or two ago. In a different time, responsible EDC might include a snub-nose revolver or a subcompact pistol. Five or six rounds and a weapon with a practical range of 10 yards or less can be sufficient when the context involves surviving assault from a mugger or two. Be able to demonstrate that you’re armed and not willing to be a victim, maybe even to give one of them a wound if they come with violence, and you’re fairly well equipped. Today, however, along with the possibility of a mugging, you may have to survive a concerted attack by a heavily armed, trained group who will not run away or willingly let you escape, and who will fight to the death. With the pistol and ammo upgrade alone you should be able to dispense more-accurate hits and at greater ranges (e.g. across a mall atrium or a large church sanctuary) and provide cover fire for others, allowing them to escape or get to cover. 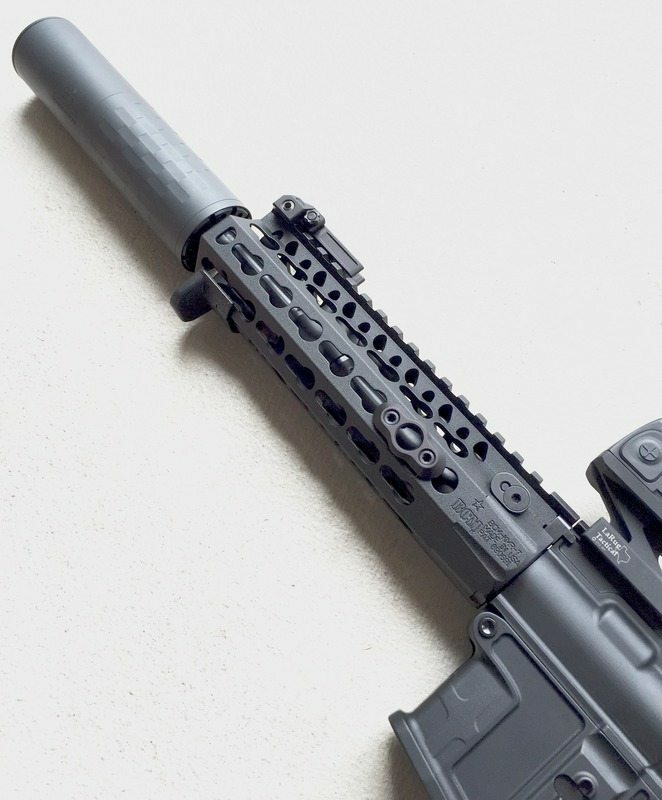 These things are seldom an issue for personal defense, but they are stock realities in a battle. Remember: we are at war. 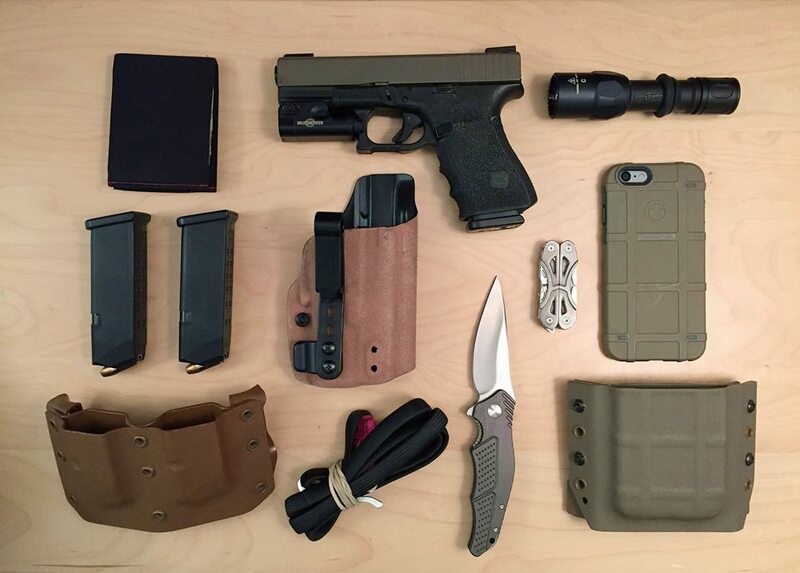 Above: Sensible, easy-to-carry EDC kit here includes wallet, a Glock 19 with Surefire XC1, Incog Shadow holster for Glock w/XC1, Surefire pocket flashlight, 2 extra magazines for pistol in a Gunfighters Inc Ronin magazine pouch, RATS tourniquet, CRKT Outrage pocket knife, Gerber Mini-Suspension multi-tool, iPhone in Magpul phone case in Tactical Oatmeal belt pouch. You may not be on foot or in a building when violence finds you. The presence of trained enemy combatants in our country and the rising current of civil unrest mean violent groups can cause major problems for motorists. Whether it’s a group of armed terrorists or a mob of violent thugs, you could be in your vehicle when attacked and left with no means of peaceful escape. This demonstrable fact suggests that it is smart to consider some defensive EDC equipment for your vehicle. A rifle or even a shotgun is a far better defensive tool than a pistol. Just like pedestrians, motorists can be targeted and things can go very badly when you have no means of defense against a violent mob. Mob violence is on the rise everywhere, including in the US. Don’t make the mistake of believing it could not find you. While it is not socially appropriate to go about your daily business with a rifle slung on your back, it makes good sense to have one in your vehicle. In fact, this used to be common practice in rural (mostly southern) America, with nearly every truck having a full or partially full gun rack, and only recently fell out of favor (mostly for the visible invitation to thieves). And remember, the “ED” of EDC means every day. It is unlikely that you’ll ever be caught up in a terrorist attack or be swarmed by a violent mob in a “protest,” but it happens every day to people abroad and is becoming quite common here in the US. Unfortunately, these attacks will occur with increasing frequency in the years to come. That is what happens when we are at war and our government does little or nothing to win the war. This fact does not mean that we should change our lives and lifestyles in highly inconvenient or overt ways. It does mean, though, that responsibility requires a different approach to EDC today than it did just a few years ago. The recommendations in this article, small financial investments aside, require no disruptions to our lives. The point, though, is that they equip us to preserve our lives and the lives of our families during wartime, should the war suddenly find us as it finds people every day. I have not here addressed the issues of defensive capability and the training required to forge it, as those things lie outside of the context of this article. I will merely say that your EDC will not serve you well or perhaps at all if you don’t have the proper skills to effectively utilize it in the context for which it was conceived. So take classes (many of them and the right kind), train right, and train often. Good words on EDC–especially vehicle EDC. Remember: all handguns are under powered and most civilians will have only what’s in the weapon and maybe one extra magazine. Their purpose? To allow you to fight your way back to your rifle. Thanks Mark. I appreciate your kind assessment and your further point on handguns.